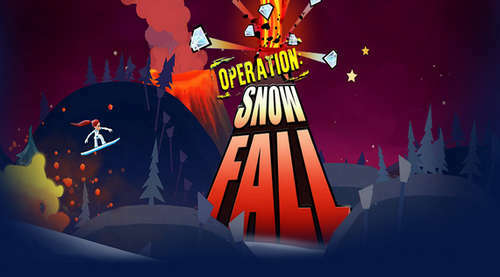 Defy Media has a new game for Android users which is full of action and fresh powder called "Operation Snowfall". If you are a fan of snowboarding games like Ski Safari 1 and 2, then this one is right up your alley. You play as a secret agent girl with mad snowboarding skills. You hit the slopes collecting diamonds and taking out henchmen, all while doing fancy tricks on a snowboard, or other secret vehicles. What're you waiting for?! grab your snowboard and go on crazy impossible missions as a secret agent!